Photo features Floral Medallion featured with Continential Slate Indian Red porcelain, La Costa Gold porcelain & Sienna Gold travertine. Photo features Florentine Medallion featured with Breccia Oniciata marble. White thin-set or mortar is recommended. 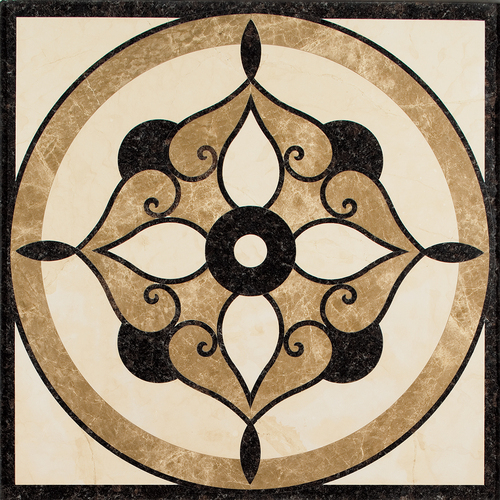 Water Jet Medallion Designs Arbor, Florentine, Compass, Floral and Scroll Medallions - Any 12" x 12" product in Daltile's Natural Stone Collection and Residential Catalogs may be used.